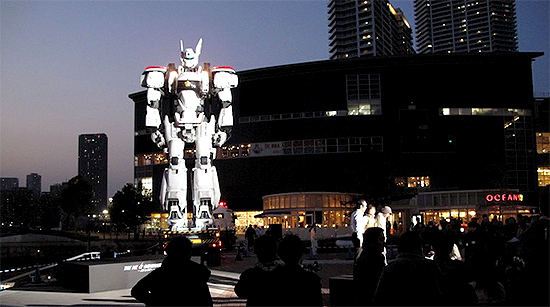 New Patlabor live-action release info! 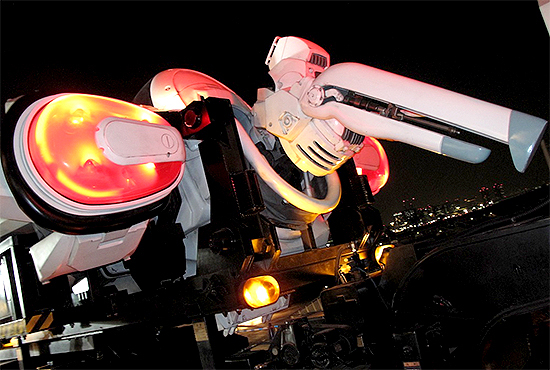 The 1988 Patlabor anime series was recently confirmed to be revived through a series of live-action shorts and films to begin in 2014 with teaser images and posters showing off the signature Labor mech, Ingram. Now, as we get closer and closer to release date, the official Patlabor website has uploaded a variety of new photos, showing off Ingram’s cockpit, as well as other photos from the upcoming series. Along with this, news was released concerning the nature of the series. The Patlabor live-action series will consist of seven 50 minute long parts, released over the course of 2014, alongside a 10-minute “Episode 0″ prequel short. On top of that, a feature-length movie is also in the works, and will be released in spring 2015. The shorts will feature Patlabor’s signature comedy / drama story, and even use real-life robots like the Kurata as part of the Labor series of robots. The first part will release on April 5, 2014, so Patlabor fans only have to wait a few short months to see the revival of this classic mecha franchise! Mobile Police Patlabor was a weekly manga written by Masami Yuki from 1988 to 1994, and is set in a future where robots called “Labors” are employed in heavy construction work. The Tokyo Metropolitan Police has its own fleet of Labor robotic police officers, called Patlabors, to combat crimes and deal with accidents involving Labors. The story focuses on Noa Izumi, a member of Tokyo Metropolitan Police Special Vehicle Section 2, Division 2, and her division. Eventually spawning anime adaptations, light novels, and movies, Patlabor is considered one of the classic mechs anime franchises to this day.